In the new version BAT Report module and BAT Viewer module can be installed on Apple Mac. 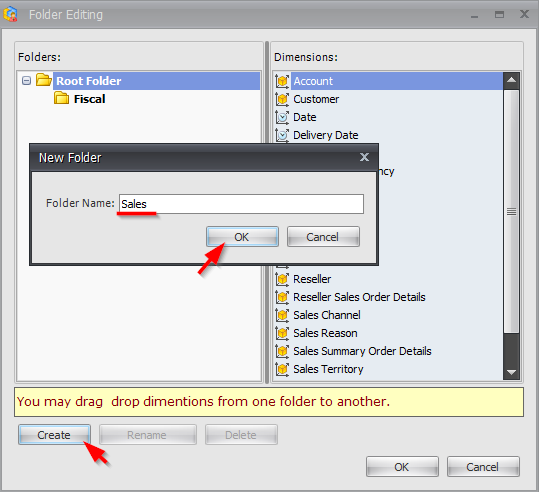 Created folders can be deleted and renamed. 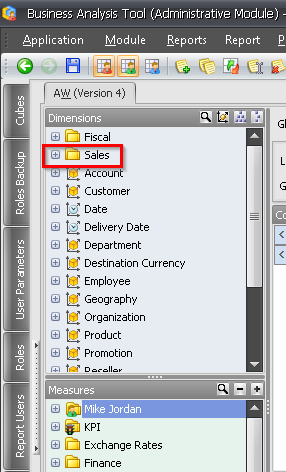 After the deletion of a created folder all dimensions will be removed to the root folder. 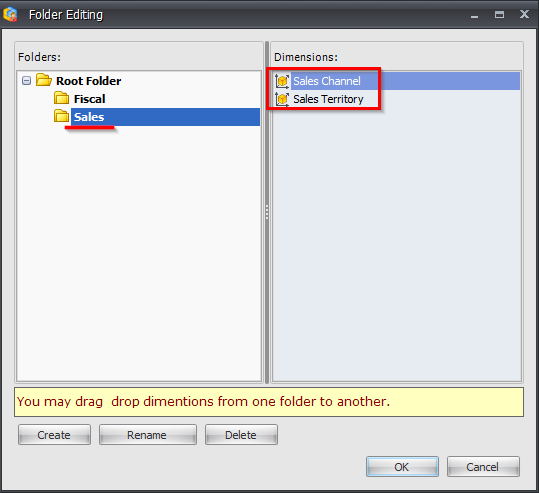 In new version export to Excel is optimized, long reports are executed faster. Sometimes the process of exporting of big reports takes a lot of time. In new version we gave user the possibility to cancel this process. 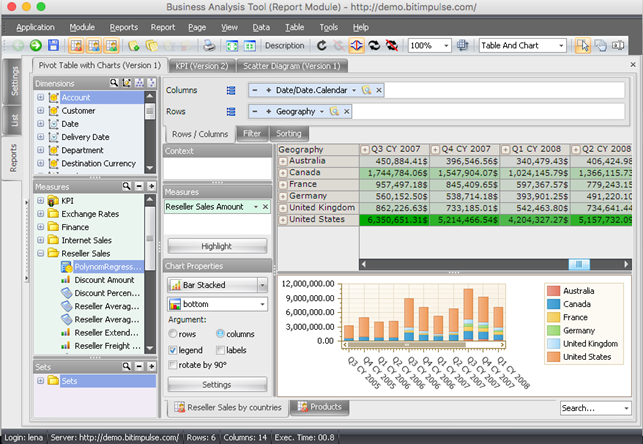 It became possible to track the status of the query dynamically. 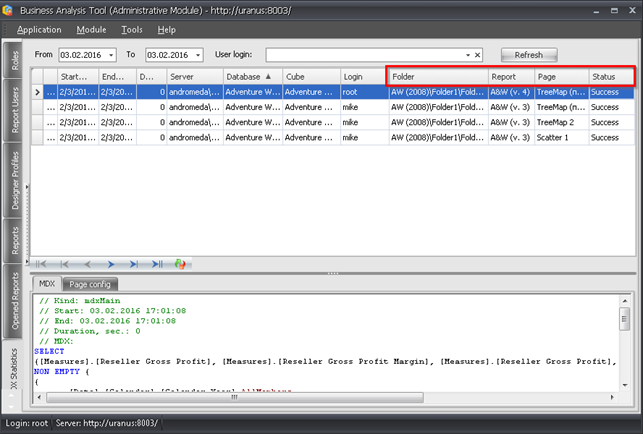 Now MDX- statistics record about the processing of MDX-query appears before the start of the query and is updated after it finishes. 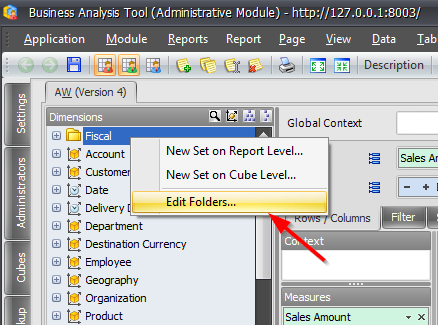 In admin module on the tab MDX-statistics new fields are added: Folder (folder in which the report is located), Report (report and it's version), Page (report page).